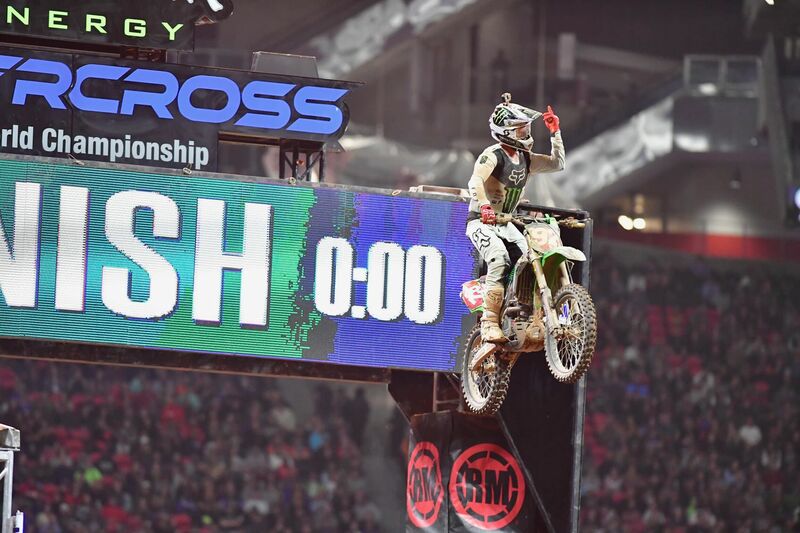 Monster Energy / Pro Circuit / Kawasaki’s Adam Cianciarulo threw down a statement win on Saturday night at the Atlanta SX 250SX East / West Showdown and flexed on everyone when it was over. 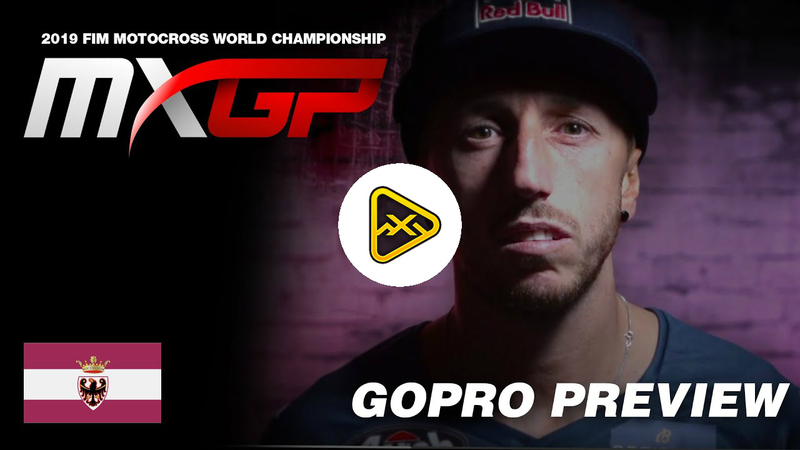 Even with the month away from racing the 250SX West riders had to deal with, AC dusted off the cobwebs and made it clear that he is the fastest 250 Supercross rider in the world at the moment. 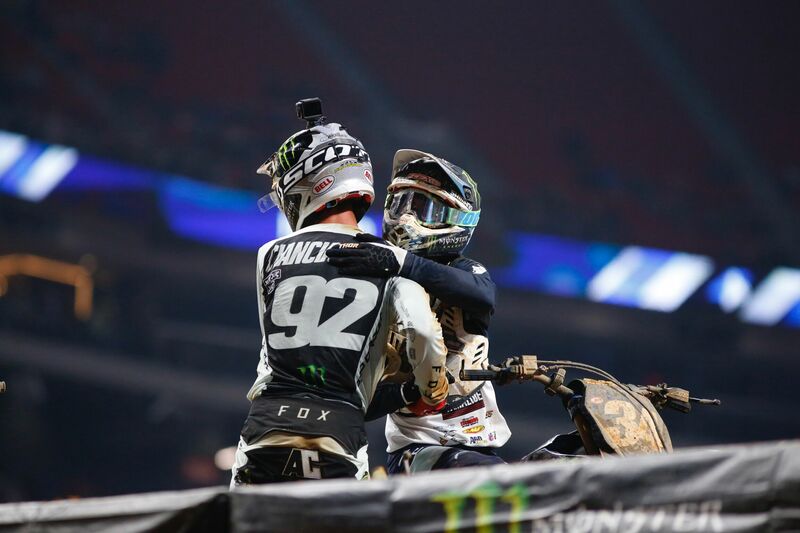 The #92 started the main event behind his teammate who is undefeated in the 250SX East in 2019, Austin Forkner, and Chase Sexton, and he proceeded to calmly reel them each in, blow by them one at a time and check out for the win. The win was AC’s third East / West Showdown win, making him the first 250SX rider to win three East / West combined main events. He has raced four of them in his career and the only one he didn’t win, he finished 2nd. AC has always had the raw speed, but in 2019, he has exhibited the whole package. 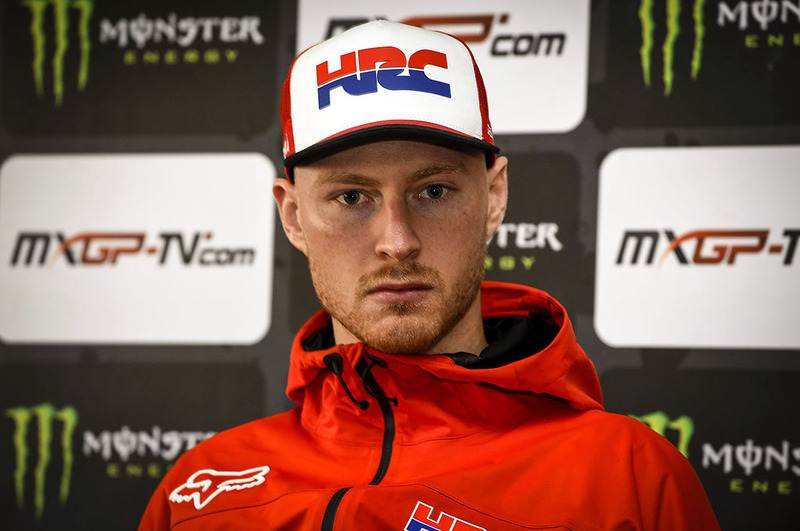 After winning his fourth main event of 2019—a career best—and stretching his lead in the 250SX Western Regional SX Championship to 15 points, AC answered a few questions from the press about his night in Atlanta. Adam, great start in the main event to put yourself in a better position, but in your heat race you struggled off the gate. What kind of adjustments were made before that main event to ensure that you got up there? Obviously, the main event start was a whole lot better. I think it’s just the intensity of starting off the gate. It had been a couple of weeks for us and I just let my right leg come out, which is my tendency if I get a bad start. I let my legs get a little bit loose and I set my front end down all sideways in the heat [race]. That’s what happened there. That put me on the outside. Getting 3rd in the heat was 5th gate pick and there wasn’t very many good gate picks out there and it put me kind of close to the box for the main. It’s kind of scary out there ’cause if you don’t get a good jump, they’re gonna push wide in the first rhythm section and you’re gonna be 10th and you’re gonna be back there probably the whole time. I was able to make that adjustment and stayed patient behind Chase [Sexton]—made a move on him&mdashthen Austin [Forkner] was in front of me. Obviously, I didn’t want to do anything stupid up there. That’s like the first thing that came to my mind. I was able to have a good race. A solid race and kind of mistake-free. I certainly learned a lot throughout the day. In my heat race, I rode terrible. I just kept a positive attitude and got it done. 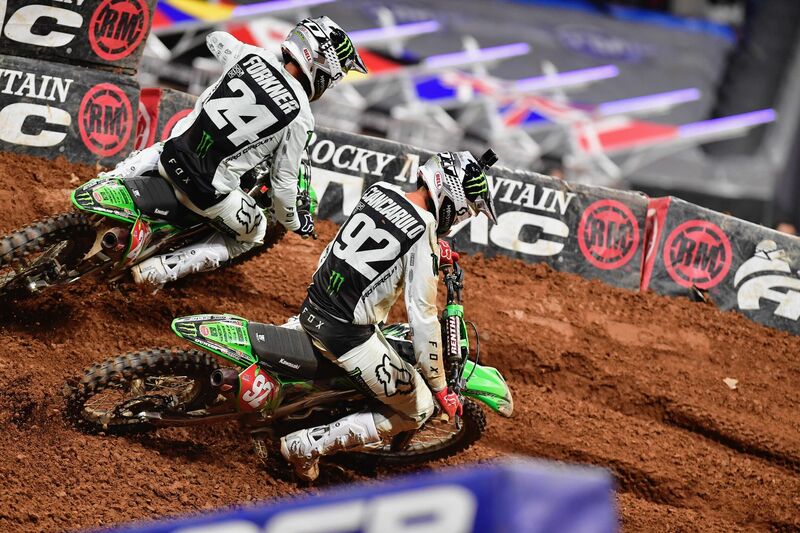 Heading into Atlanta, everyone wondered who had the edge between Forkner (#24) and Cianciarulo (#92). I saw your knuckles afterward. Can you explain what happened there? How big of a moment was that? It was close. Austin…he had started farther inside of me and he came out of the corner and he must have gone double-double and I was on a different rhythm. I was kind of going up and he was coming down and he was drifting out to the left. It almost ripped the handlebars out of my hands, honestly. He came down right on my clutch [lever] and somehow he bent my clutch up. It was weird. My clutch was all bloody after the race. Luckily I didn’t really feel it until after. Scary moment there. It almost put me into the tuff blocks right off the bat. It was kind of on me, my first corner was a little timid. I was a little bit too timid around the outside and those guys snuck in. That’s what happens when you’re back there. Before the race, everybody was pretty nice about East versus West. Do you want to do any West bragging? No, no absolutely not. Nothing but respect for those guys. When I saw Chase and Austin in front of me…Obviously, I’ve been watching them on TV the last few weeks and both of those guys are really fast. I’ve ridden with them before so they deserve all the respect. I think they’re great athletes and great riders. You can’t take anything away from them. I definitely had my work cut out for me with those guys in front of me. I think we all did a good job. We rode a hard race, we rode clean and I didn’t make any stupid mistakes. It’s a win for me. AC (left) and Dylan Ferrandis (right) gave the West 1st and 2nd. This is your first race in a couple of weeks. It’s quite a bit different than what you were racing on the West Coast too. Do you learn a lot? Do you take away a lot from this? Or is it more, there’s not a lot to learn because the West Coast is so different? I found it kind of difficult to get going today a little bit. Especially in the heat race. Man, I was terrible… terrible. I don’t know what I was doing. Just the intensity of the gate drop or just being around it. For me, it’s just like the atmosphere of being at the race and being around it. We’re at the halfway point of the season, how would you grade your performance so far? For me, it started off a little bit rough. Like I mentioned earlier, I made some changes in the offseason to try to get my technique a little bit better to avoid some of the mistakes I made in the past. At Anaheim 1 I made those same mistakes and I bounced back at Glendale. I made the mistakes again at A2 and since then it’s been good. I’ve kind of done everything I wanted to other than those two little hiccups. Like you said, we’re halfway through the season. I think we’ve done six rounds and we have four rounds left so I can’t get complacent. I gotta keep getting better. Yeah, A [grade] so far for me.